Carrot Top Las Vegas shines on The Strip. 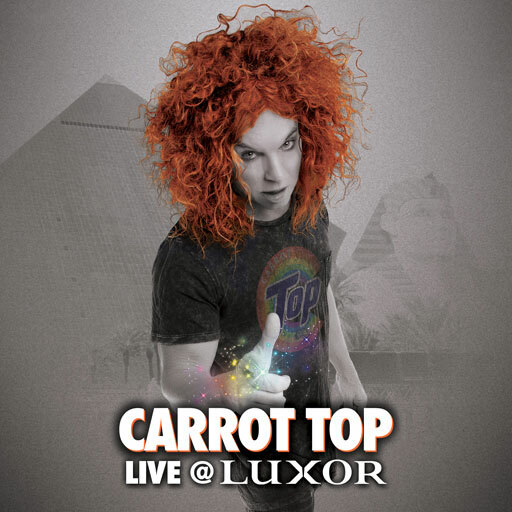 World famous and hard-working comedian Carrot Top continues his successful run at The Luxor, while somehow finding the time to make talk show appearances and play sold out shows on the road. 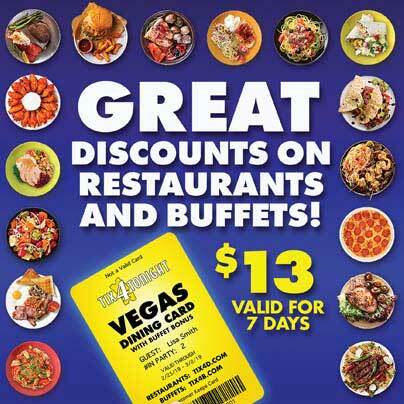 If you’re in Vegas while Carrot’s in town, be sure to check out one of the most inventive and funny shows in town. Prop comedian Carrot Top has quite the bagful of tricks… literally. Unlike most comics who just tell jokes, Carrot Top shows them to you. 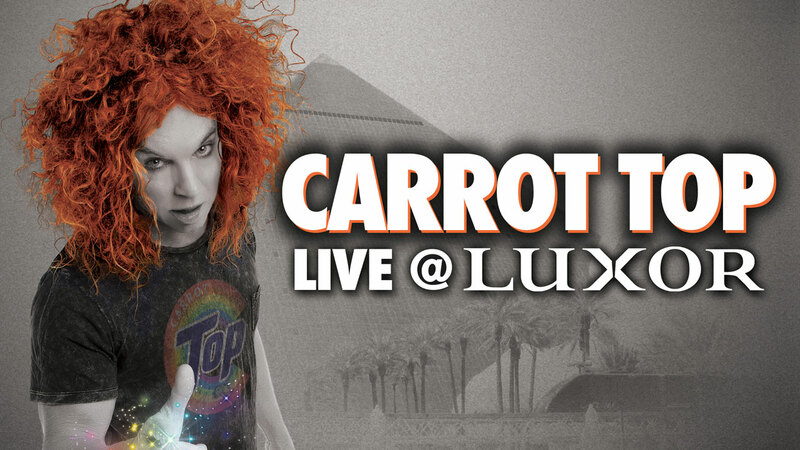 The Luxor’s massive sign declares Carrot Top Comedian of the Year, and when you get a load of his trunks filled with visual prop gags (most of which were invented and built by the comedian himself), you’ll understand why. A grandfather clock necklace, a pay phone with a rolodex glued to it (which he calls a “cell phone for rednecks”), and a paper cup and string phone with a third cup attached for “call waiting” are just a few examples of the more than 70 props pulled from 11 trunks that Carrot Top features in every performance. The show is also one of the most energetic nights of entertainment in Vegas, as Carrot Top performs to the pounding beat of loud music while smoke machines and strobe lights add to the rock and roll atmosphere. But the comedian himself provides most of the energy, as he tirelessly performs at a pace that would leave most normal people doubled over and out of breath. Carrot Top’s residency show is always evolving, as he constantly swaps in new props (inspired by a mix of his uniquely bountiful imagination and up to the minute current events), so that every performance is fresh and unpredictable. His menagerie of visual prop jokes, irrepressible energy and unique personality have made Carrot Top tickets hot sellers whether he’s performing at The Luxor in Las Vegas or on the road.